Drupal is an open-source platform that allows you to develop all kinds of websites and applications: from institutional sites, to authentic communities capable of supporting thousands of users. This CMS gives life to some of the most visited sites on the web, and can be adapted to any type of design, thanks to its versatility. More than 1 million sites use Drupal as a back office - including reputed websites like WhiteHouse.gov, WorldEconomicForum, StandfordUniversity and Examiner.com. The features of Drupal provide search engines with the information they need in order for your website to be indexed as quickly as possible and with the best results. To take full advantage, all you need to ensure is that the contents of your website are updated and are relevant to your business area - Drupal handles the rest. If you wish, we can prepare your website to facilitate the promotion of your content on Twitter, Facebook and other social networks. These are essential tools for effective promotion of your website and, with the growing popularity of these networks, it is essential not to overlook the importance of social media marketing in the success of your business. These tools will not replace your site, but they will help its growth and visualization. 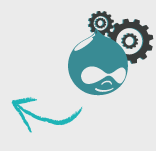 Drupal is a platform with proven experience with websites developed on this platform with over a million pages and more than 20,000 requests per second. Its default installation is optimized to be able to handle most use cases, while a good base of expert Drupal administrators can optimize the most demanding websites - the area where Openquest stands out, thanks to our experienced professionals. Drupal is known for its excellent level of safety, something absolutely essential to a CMS used by thousands of websites - many of them being high profile. To ensure this level of security, Drupal is subjected to numerous stringent safety tests - not only by the Drupal community, but also by proven experts. Thus, the Drupal code base has proven to be able to prevent several security vulnerabilities defined by the Open Web Application Security Project (OWASP). 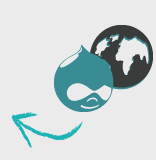 Millions of websites run Drupal as their platform - including many of the largest and best known in the world. This CMS is easily adopted by individuals and small businesses, proving to be able to meet the needs of small and midsize businesses, but its popularity is also especially strong among government agencies and leading companies from various sectors of the industry - due to its great scalability and almost unlimited possibilities for customization.